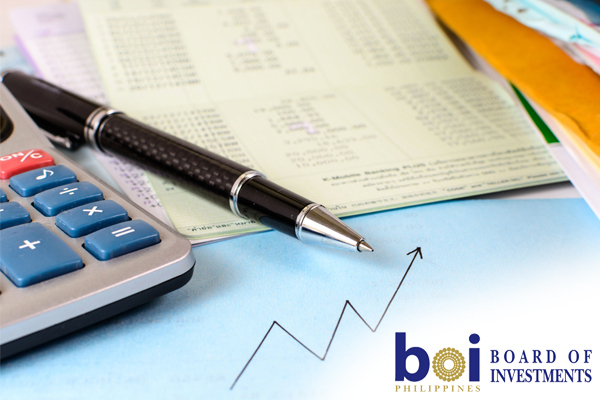 Many foreign companies setting up outsourcing operations (IT-BPO, call center, or IT companies) in the Philippines may opt to register with BOI for tax incentives. Many existing foreign-owned outsourcing companies are BOI-registered. Our team of experts and consultants will determine eligibility for BOI registration and organize all financial documents to be processed at BOI. The Board of Investments (BOI) provides tax breaks and other incentives to registered entities that engage in activities identified as investment priorities or those which promote the general economic development of the Philippines and those that are export-oriented (where export is more than 50% of production or 70% if the enterprise is more than 40% owned by foreign investors). The BOI, in consultation with the public sector, comes up with an Investment Priorities Plan listing these industries. The main advantage for an eligible BOI-registered firm are 4 to 8 year income tax holidays and 4 to 6 year exemption from local business taxes for pioneer and non-pioneer industries. To be eligible for BOI incentives, foreign investors will need to have an equity investment in a Philippine corporation. Pioneer and Non-pioneer projects have different requirements. 100% foreign-owned enterprises may avail of incentives if they engage in pioneer projects, export at least 70% of their total production, or undertake projects in less-developed areas of the country as identified by the BOI. These enterprises are obliged to attain 60% Filipino ownership within 30 years from registration unless they export or will be exporting 100% of their production. For enterprises engaged in non-pioneer projects, foreign ownership is limited to 40%, unless the enterprise will export more than 70% of its annual production. Applying for BOI requires submission of a notarized application indicating the type of projects, how the activity relates to those listed in the Investment Priorities Plan, the production capacity geared to export, the capital structure of the enterprise, and the nationality of its investors. In addition, the company must submit a feasibility report, containing five-year projected financial statements.